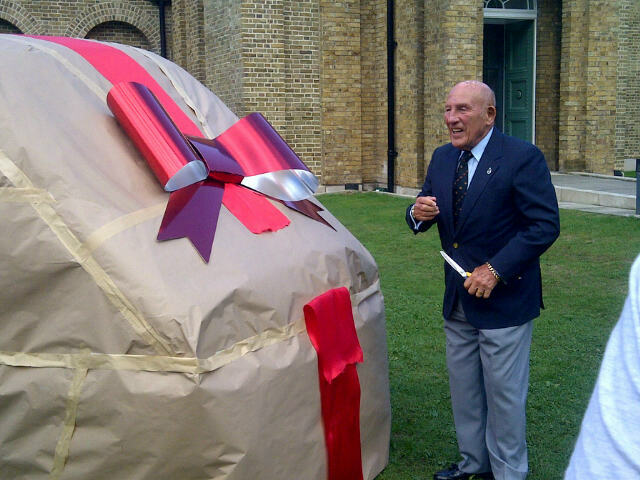 Sir Stirling Moss launched the Dulwich Picture Gallery’s “Artmobile” Tuesday 10th September and drove the van round the gardens. 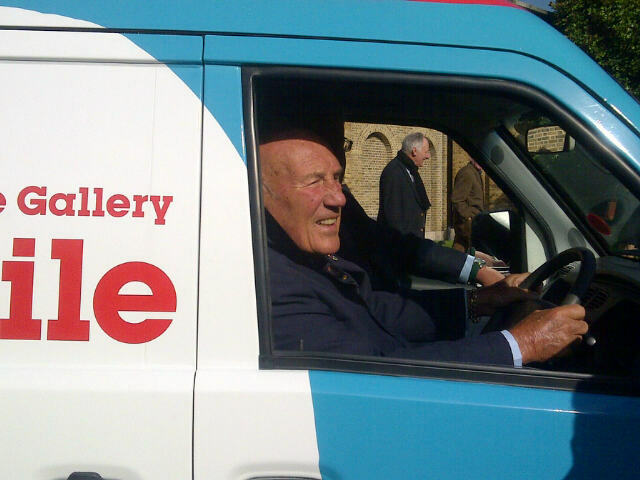 Mayors from Southwark, Lambeth and Lewisham, local councillors, Gallery staff, press and children from Dulwich Hamlet Junior School gathered to watch artist Humphrey Ocean RA and former resident artist at the Gallery sign the van he had designed. 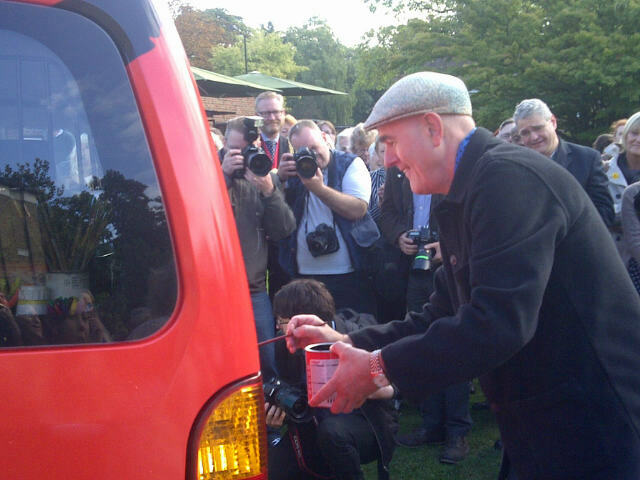 After Stirling cut the ribbon, the children made short work of “unwrapping” the van. The fully equipped van will be taking art out to residents, schools and community groups, and has already had a trial run at a local community fair. Previous Previous post: NHS Southwark CCG approve significant health hub at Dulwich Hospital site.